Sook-Yin Lee has been called “a cultural Jill of all trades.” This means she can do a little bit of everything. She’s a musician, actor, writer, filmmaker, and broadcaster. Since she was a child, she has loved putting on a show. At the heart of a good show is a good story. She says stories are how she makes sense of a world that’s both strange and wonderful. Sook-Yin grew up in North Vancouver. Her parents moved to British Columbia from China. They were strict and her mom used to hit her. So Sook-Yin ran away when she was 15. Her sister Dede went, too. Together, they lived on the streets. Dede fell in with a violent gang and died very young. 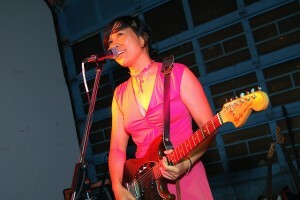 Sook-Yin turned to the arts for survival. 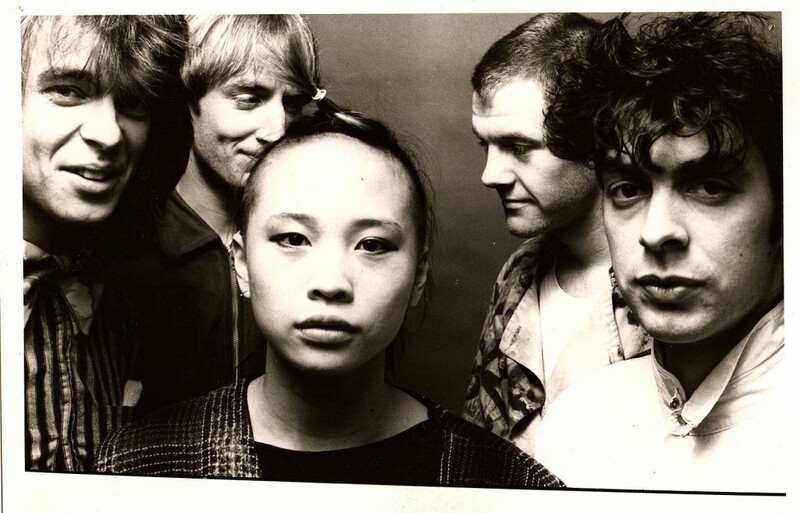 In the late 1980s, she became the lead singer of a Vancouver-based punk band called Bob’s Your Uncle. The owner of MuchMusic heard about her and asked her to try out for a job as a VJ. A VJ is like a DJ for music videos. She landed this dream job. She quickly became known for being smart, funny, and fearless. In 1995, gay people won some basic human rights. Sook-Yin celebrated by kissing another woman on air. And on her last day at MuchMusic, she said goodbye by mooning the camera. In 2002, she moved to CBC Radio as host of a show called Definitely Not the Opera. The show is about Canadian pop culture. It has also become a place for Canadians to share stories about the sad, joyful, and embarrassing moments of modern life. What makes Sook-Yin different is that she doesn’t hold back. She shares her stories on the air, too. In 2006, CBC threatened to fire Sook-Yin for starring in a racy film called Shortbus. After the film was shown at the Cannes Film Festival, people stood and clapped for 20 minutes. This act sent a loud message about letting artists express themselves. So CBC didn’t fire her after all. Since then, Sook-Yin has continued to live by her motto: be bold, shine bright. She shows us how storytelling and the arts can help us find who we are, connect with others, and make it through whatever life has in store for us. Homeless means without a home. Fearful means full of fear. Careful means full of care. Beautiful means full of beauty. The underlined words in this story (listed below) are from the synonyms task you did in Unit 2 of Course Pack 3. If you get stuck on a word from your SYN-Circles, see if the synonyms help you. See Bold and Bright: Sook-Yin Lee in BC Reads: Adult Literacy Fundamental English – Course Pack 3. Sook Yin Lee by Karon Liu is used under a CC BY-SA 2.0 license. Bob’s Your Uncle is used under a CC BY-SA 3.0 license. 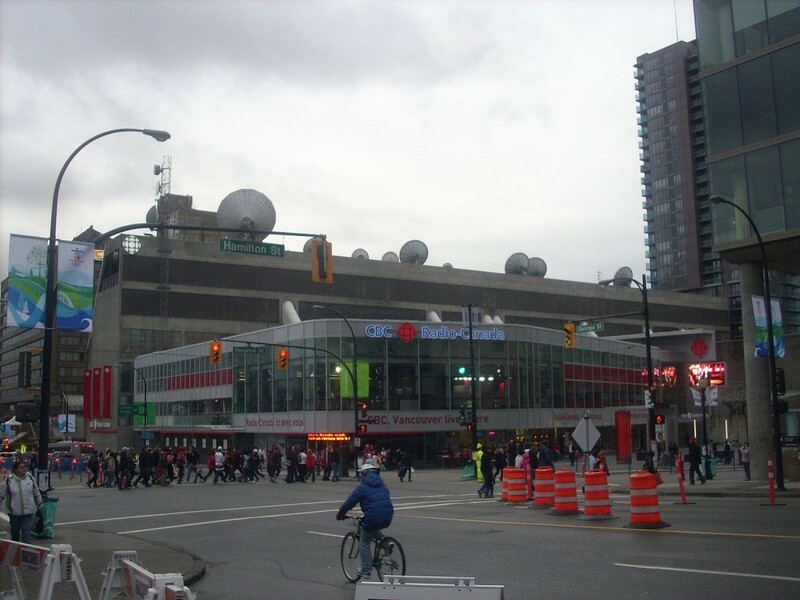 CBC Vancouver Studios (Vancouver 2010) by Bull-Doser is in the public domain. Shortbus at King’s Cross by Mark Hillary is used under a CC BY 2.0 license. Bold and Bright: Sook-Yin Lee by Shantel Ivits is licensed under a Creative Commons Attribution 4.0 International License, except where otherwise noted.